Volkswagen may stop selling limousines under the Phaeton brand in Russia, Kommersant business daily reported. On Tuesday the Moscow Arbitration Court is considering the claim of Russia's St. Petersburg-based company Phaeton, which wants Volkswagen to stop sales of Phaeton limousines in Russia and to pay five million rubles in compensation for illegal use of the trademark, Kommersant said. But according to Volkswagen's lawyer Yulianna Tabastayeva, the court is not to make a final decision on the claim Tuesday, Kommersant said. Tabastayeva said that Russia's Phaeton company is unlikely to win the case, adding that this year the company had already lost its right to use the Phaeton brand for cars twice because it did not use it. She also said that there is no final rejection from the Russian patent agency Rospatent to register the trademark in Russia for Volkswagen. But earlier the arbitration court of St. Petersburg upheld similar claims made by Russia's Sigma Motors against Volkswagen's dealer in St Petersburg. Then the company was not allowed to sell Phaeton limousines in St Petersburg, Kommersant said. In 2001, Volkswagen submitted a request for registration of the international Phaeton trademark to the World Intellectual Property Organization (WIPO). 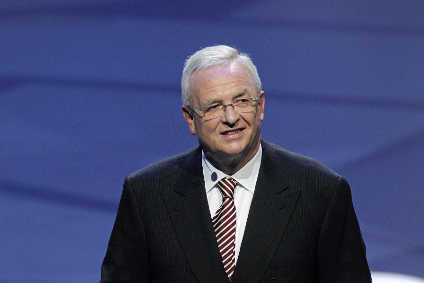 In 2003, Volkswagen received a preliminary refusal from Rospatent to register the trademark in Russia for the company. In 2003, the company sold 6,052 cars in Russia, including 51 Phaeton limousines. Despite Phaeton cars accounting for a relatively small proportion of the company's Russian sales, Volkswagen considers the presence of such cars in Russia important for its image, Kommersant said. Russia's Phaeton company has owned the Phaeton trademark since 1995 for a number of goods and services including cars.